Community Corner – January 19, 2016: The Featured Projects from last Week « Adafruit Industries – Makers, hackers, artists, designers and engineers! 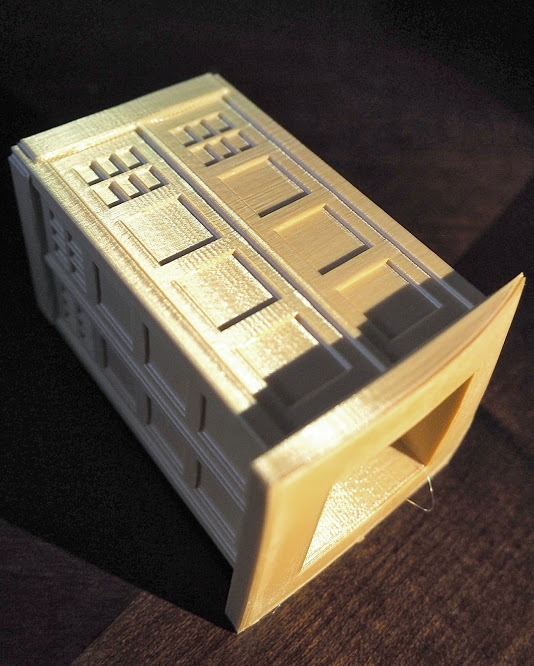 This week in our Community, Yuan LIU shared his sharp looking Tardis print! We shared caitlinsdad’s awesome giant thermometer scarf with NeoPixels instructables project this week on the blog. Motor feather, it’s cold outside. Make this wearable high tech, low tech scarf with a built-in thermometer.